If you’re sick of ended up covered in mud and road grime after wet weather, and with winter approaching, it’s the perfect time to check out the Powerbronze range of Huggers and Mudguard Extenders. 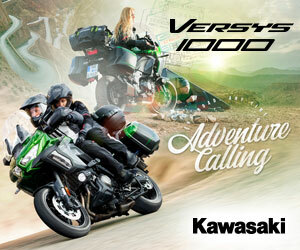 Pictured is a Kawasaki Ninja 1000 fitted with both. 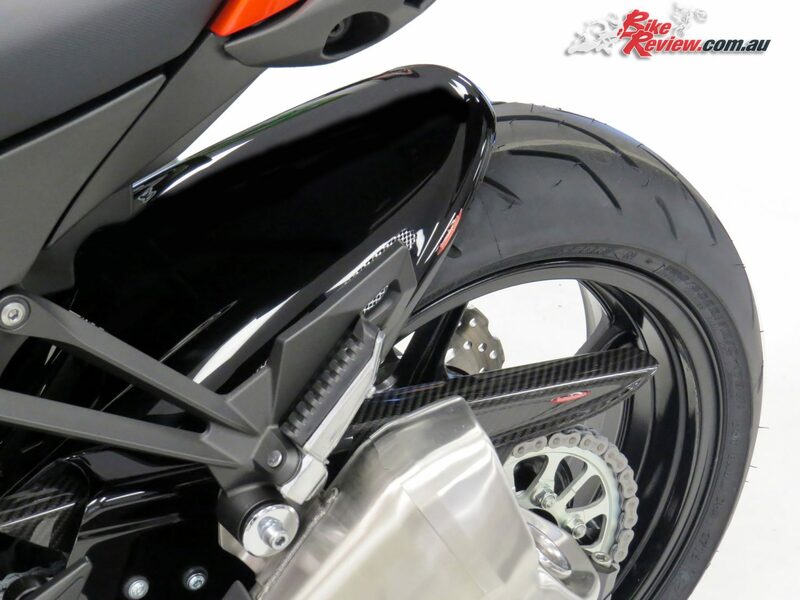 Powerbronze’s Huggers are easy to install and come in a variety of finishes, with carbon-fibre options also available for those looking to save weight and add some bling to their bike. Powerbronze’s Mudguard Extensions are a simple addition that helps reduce fling from the wheel reaching your bike, meaning it’s easier to keep your bike clean. Give the rear end of your bike a Powerbronze Rear Hugger. 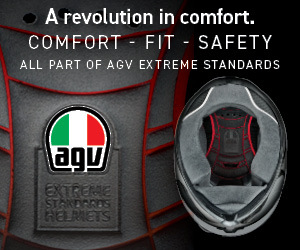 Each Rear Hugger comes pre-drilled with all mountings – no drilling, no cutting, no tie-wraps! All Rear Huggers are made from a high impact plastic or 2/2 Twill Carbon Fibre for a smooth internal finish and “rolled” edges, and all brackets and necessary fixings are supplied. Powerbronze Rear Huggers use ‘Posi-Flex’; steel sleeved rubber mounting points to dampen vibration and avoid cracking. 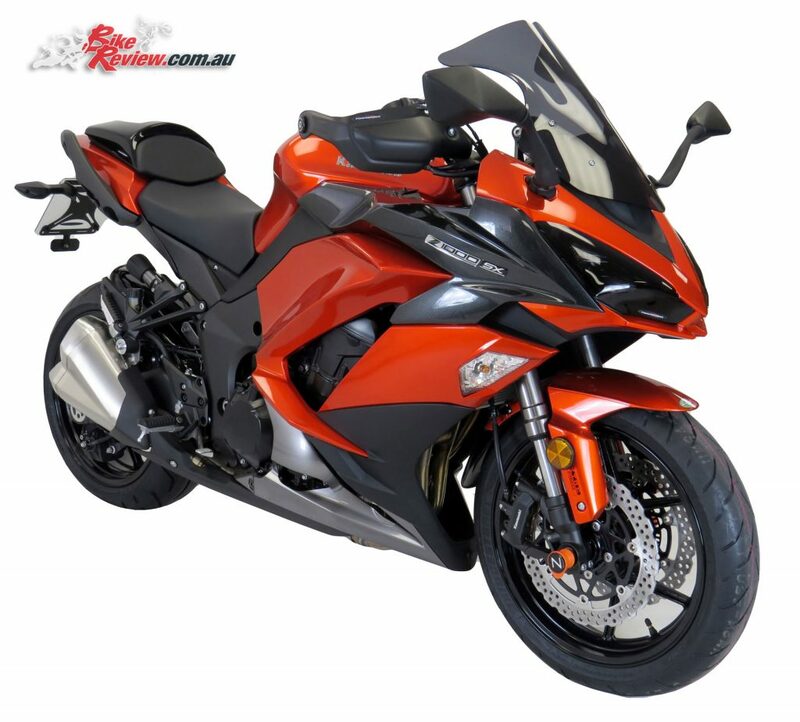 Many of the Rear Huggers have chain-guards built into the shape where appropriate but the Kawasaki Ninja 1000 (pictured) model does not. This Hugger is of the vented range, with the option of gold or silver coloured mesh vents for that extra style for your machine! Standard finishes for the Powerbronze Rear Hugger range (vented or otherwise) are Gloss Black and Carbon Look. But for some models they are also able to produce the rear huggers in White. Powerbronze Carbon Fibre Huggers are hand made in a dedicated plant in UK and lacquered to give a gloss protective finish from weathering. They are also available in Carbon Fibre Huggers with 2/2 Twill weave. 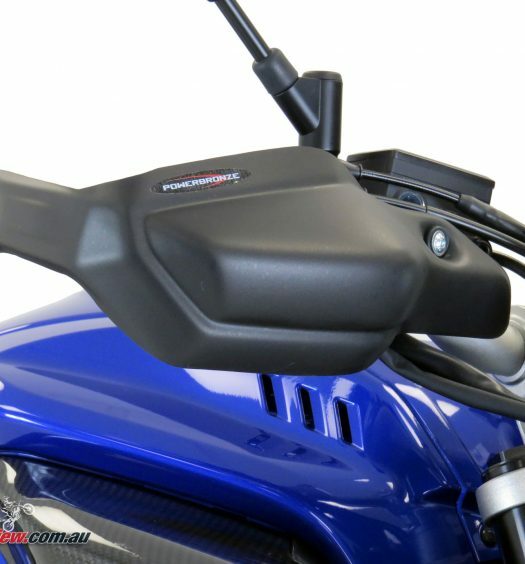 This Vented Rear Huggers does not incorporate chain guards into their design. All Powerbronze Rear Huggers have TUV type approval. All of Powerbronze Huggers can be fitted with an auxiliary brake-light! Mounted to the rear top edge of the rear hugger for extra safety and a great look. The auxiliary brake lights wire into your existing brake light loom and operate in conjunction with the standard set up. Please note: All Powerbronze Huggers are developed using the standard OEM tyre. A Mudguard Extender is one of those low price extras that really does its part in helping you look after your bike. 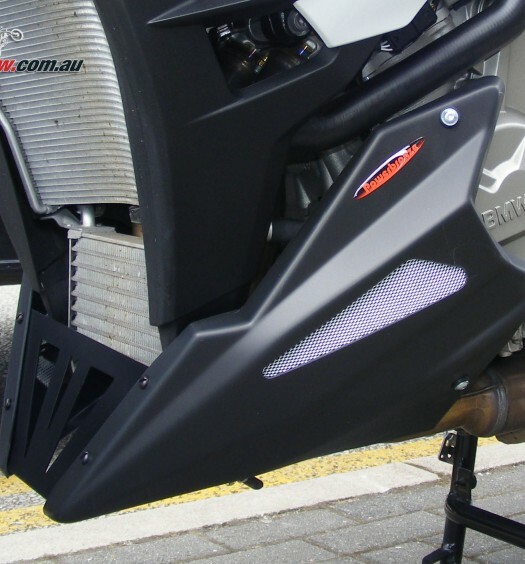 They are easy to fit and provide much needed extra protection for lower fairing panels and your radiator from road dirt, debris and water thrown up by the front wheel. Tailored to fit each model, every Powerbronze Mudguard Extender is supplied with the necessary screw fixings and instructions. A complimentary Powerbronze Racing badge is supplied to fit in the moulded area. Manufactured from the same high impact ABS plastic used in the well proven huggers and supplied in a gloss black or matt black finish.